Anyone in touch with dynamic fields can find this phenomenon: Things are faster than the rules intending to control them. Hence, if the capacity to be enforced is very strong, old rules can stop the advancement. By the same token, if that capacity is weak, rules are simply ignored, and the world evolves following different paths. Three months ago, an article was titled “POR QUÉ ALBERT EINSTEIN NO PODRÍA SER PROFESOR EN ESPAÑA” (Why Albert Einstein could not be a professor in Spain) and, basically, the reason was in a bureaucratic model tailored for the “average” teacher. This average teacher, just after becoming a Bachelor, starts with the doctorate entering a career path that will finish with the retirement in the University. External experience is not required and, very often, is not welcome. The age, the publications and the length of the doctoral dissertation (17 pages) could have made impossible for Einstein to teach in Spain. The war for talent means in some environments fighting it wherever it can be found. Cybersecurity can be a good example. There is a clear shortage of professionals in the field and it is worsening. The slowness to accept an official curriculum means that, once the curriculum is accepted, is already out-of-date. Then, a diploma is not worth and, instead, certification agencies are taking its place, enforcing up-to-date knowledge for both, getting and keeping the certification. Financial regulators? Companies are faster than regulators and a single practice can appear as a savings plan, as an insurance product or many other options. If we go to derivative markets, the speed introduces different parameters or practices like high-frequency trading hard to follow. What about cryptocurrencies? They are sidestepping control by the Governments and, still worse, they can break one of the easiest ways for the States to get funds. Governments would like to break them and, in a few weeks, EU will have a new rule to “protect privacy” that could affect the blockchain process, key for the security of cryptocurrencies and…many Banks operations. Aviation? The best-selling airplane in the Aviation history -Boeing 737- was designed in 1964 and it started to fly in 1968. The last versions of this plane don’t have some features that could be judged as basic modifications because the process is so long and expensive (more and more long and expensive) that Boeing prefers to keep attached to some features designed more than 50 years ago. In any of these fields or many others that could be mentioned, the rules are not meeting its intended function, that is, to keep functionality and, in the fields where it is required, safety as a part of the functionality. Whatever the rule can be ignored or can be a heavy load to be dragged in the development, it does not work. We can laugh at the old “1865 Locomotive Act” with delicious rules such as this: The most draconic restrictions and speed limits were imposed by the 1865 act (the “Red Flag Act”), which required all road locomotives, which included automobiles, to travel at a maximum of 4 mph (6.4 km/h) in the country and 2 mph (3.2 km/h) in the city, as well as requiring a man carrying a red flag to walk in front of road vehicles hauling multiple wagons (Wikipedia). However, things were evolving in 1865 far slower than now. Non-functional rules like that could be easily identified and removed before becoming a serious problem. That does not happen anymore. We try to get more efficient organizations and more efficient technology, but the architecture of the rules should be re-engineered too. Perhaps the next revolution is not technologic despite it can be fueled by technology. It could be in the Law: The governing rules -not the specific rules but the process to create, modify, change or cancel rules- should be modified. Rules valid for a world already gone are so useful as a weather forecast for the past week. Useless diplomas, lost talent, uncontrolled or under-controlled new activities or product design where the adaptation to the rules are a major part of the development cost and time are pointing to a single fact: The rules governing the world are unable to keep the pace of the world itself. Some books can be considered as a privilege since they are an opportunity to have a look at an interesting mind. In this case it’s the mind of someone who was professionally involved in many of the air accidents considered as HF milestones. The author, Alan Diehl, has worked with NTSB, FAA and U.S. Air Force. Everywhere, he tried to show that Human Factors had something important to say in the investigations. Actually, I borrowed for my first sentence something that he repeats once and again: The idea of trying to get into the mind of the pilot to know why a decision was made. Probably, we should establish a working hypothesis about people involved in an accident: They were not dumb, nor crazy and they were not trying to kill themselves. It would work fine almost always. Very often, as the author shows, major design and organization flaws are under a bad decision driving to an accident. He suffered some of these organization flaws in his own career by being vetoed in places where he challenged the statu quo. One of the key cases representing a turning point for his activity but, regretfully, not for Aviation Safety in military environments happened in Gulf war: Two F15 planes shooted two American helicopters. Before that, he tried to implement CRM principles in U.S. Air Force. It was rejected by a high rank officer and, after the accident, they tried to avoid any mention of CRM issues. Diehl suffered the consequences of disobeying the orders about it as well as whistle-blowing some bad Safety related practices in the Air Force. Even though those practices represented a big death toll that did not make a change. As an interesting tip, almost at the end of the book, there is a short analysis of different reporting systems, how they were created and the relationship among them. Even though, it does not pretend to be an important part in the book, it can be very clarifying for many people who can get lost in the acronyms soup. However, the main and more important piece of the book is CRM related: Diehl fought hardly to get CRM established after a very well-known accident. It involved a United DC-8 in Portland, who crashed because it ran out of fuel while the pilot was worried about the landing gear. That made him delay the landing beyond any reasonable expectation. It’s true that Portland case was important as well as Los Rodeos and Staines cases were also very important as major events to be used as inputs for the definition of CRM practice. However, and that is a personal opinion, something could be lost related with CRM: When Diehl had problems with Air Force, he defended CRM from a functional point of view. His point, in short, was that we cannot admit the death toll that its absence was provoking but…is CRM absence the real problem or does it have much deeper roots? CRM principles can be hard to apply in an environment where power distance is very high. Once there, you can decide if a plane is a kind of bubble where this high power distance does not exist or there is not such a bubble and, as someone told me, as a pilot I’m in charge of the flight but the real fact is that a plane is a barracks extension and the higher rank officer inside the plane is the real captain. Nothing to be surprised if we attend to the facts under the air accident that beheaded the State in Poland. “Suggestions” by the Air Force chief are hard to be ignored by a military pilot. 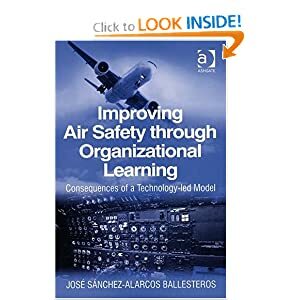 Diehl points out how in many situations pilots seem to be inclined to play with their lives instead of keeping safety principles. Again, he is right but it can be easily explained: Suppose that the pilot, in the flight that crashed with all the Polish Government onboard, rejects the “suggestion” and goes to the alternate airport. Nothing should have happened except…the outcome for the other option is not visible and everyone should find reasons to explain why the pilot should have landed in the place where he tried to do it. His career should be simply ruined because nobody would admit the real danger under the other option. Once you decide, it’s impossible to know the outcome of the alternate decision and that makes pressure especially hard to resist. Then, even if restricted to the cockpit or a full plane, CRM principles can be hard to apply in some organizations. Furthermore, as Diehl suggests in the book, you can extend CRM concepts well beyond the cockpit trying to make of it a change management program. CRM, in civilian and military organizations, means a way to work but we can find incompatibilities between CRM principles and organizational culture principles. Management have to deal with these contradictions but, if the organizational culture is very strong, it will prevail and management will not deal with the contradictions. They will simply decide for the statu quo ignoring any other option. Suppose for a moment that someone decides removing all the CRM programs in the world because of…whatever. Once done, we can ask which companies should be the most affected because of that. Should be Qantas among them? Hard to answer but probably not. Why? CRM principles work precisely in the places where these principles were already working in the background. Then, CRM brings order and procedures to a previous situation that we could call “CRM without CRM program”, for instance, a low power distance where the subordinate is willing to voice any safety concern. In this case, the improvement is clear. If we suddenly suppress the activity, the culture should keep alive these principles because they fitted with that culture from the very first moment and before. What happens when CRM principles are against organization culture? Let me put it in short: Make-up. They will accept CRM as well as they accept SMS since they both are mandatory but everyone will know the truth inside the organization. Will CRM save lives in this organizations, even if they are enforced to implement it? A recent event can answer that: Asiana accident in San Francisco happened because a first officer did not dare to tell his captain that he was unable to land the plane manually (of course, as usual, many more factors were present but this was one of them and extremely important). Diehl clearly advocates for CRM and I believe he is right and with statistical information who speaks about safety improvement. My point is that improvement is not homogeneous and it happens mainly in places that were already willing to accept CRM principles and, in a non-structured way, they were already working with them. CRM by itself does not have the power to change the organizational culture in places that reject its principles and the approach should be different. A very good old book, Critical Path Renewal by Beer, Eisenstat and Spector explains clearly why change programs don’t work and they show a different way to get the change in organizations who reject it. Anyone trying to make a real change should flee from change programs even if we agree with the goals but one-size-fits-all does not work. Some principles, like the ones under CRM or SMS, are valid from safety point of view but, even though everyone will pay lip service to the goals, many organizations won’t accept the changes required to get there. That is still a hard challenge to be completed. Ray Kurzweil decía que la gran revolución que han traído los sistemas avanzados de información está en un simple hecho: Reproducir y transmitir la información tiene un coste virtualmente igual a cero. Se supone que eso significa romper una diferenciación clásica entre los que tienen acceso a la información y los que no la tienen puesto que, según Kurzweil, ahora todos lo tienen. Por puro azar, estos últimos días he tenido que buscar información sobre distintos temas y, cómo no, he recurrido a hacer búsquedas más o menos avanzadas en Google y en sitios que se suponen especializados en proveer información. Tengo que anticipar que no se trataba de cuestiones filosóficas, religiosas o similares sino de preguntas que tienen una respuesta clara . Otra cosa es acceder a ella a través de la maraña de informaciones falsas o desfasadas. 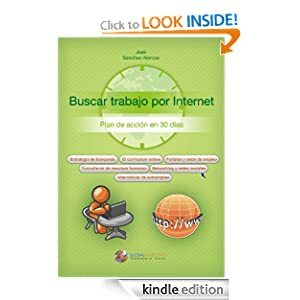 Esto ocurre incluso cuando se trata de asuntos directamente relacionados con Internet. Ejemplo: Teléfono Nexus 5 con el compromiso de actualización por parte de Google a la última versión de Android. Lo que no dice Google es cuándo llega esa última versión y, los que somos poco pacientes, buscamos otras vías como, por ejemplo, descargar la actualización oficial de los sitios de Google. Esto requiere cierta manipulación en el teléfono como desbloquear el bootloader o rootear el teléfono u otras piezas de la tecnoverborrea. En cualquiera de estas opciones, Google ofrece varias páginas de resultados, incluyendo videos de Youtube. El problema está cuando se intenta poner en práctica y se ve que las instrucciones pueden ser desfasadas, incompletas o, simplemente, el teléfono no hace lo que, según las instrucciones leídas en Internet, tendría que hacer. Lo curioso del caso es que, después de tratar diversas soluciones y en alguna de éllas llegar a bloquear el terminal, apareció una solución: Una herramienta software llamada Nexus Root Toolkit que permite al usuario hacer lo que quiera con el teléfono: Rootear, desrootear, bloquear o desbloquear el bootloader, cambiar la versión del sistema operativo…lo que sea. ¿Por qué llegar a esta herramienta supone una peregrinación y un ensayo y error de soluciones que supuestos o reales expertos van poniendo en Internet? 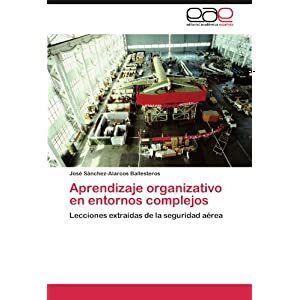 Otro ejemplo, quizás algo menos escandaloso porque no va al propio terreno en el que se supone que Internet debería tener información de primera calidad, está en la búsqueda de diferencias en el diseño entre dos tipos de avión y en temas muy específicos: La información existe pero encontrarla con un buscador o en un sitio de preguntas y respuestas tipo Quora es prácticamente imposible y al final lo más operativo es telefonear a alguien que se sabe que dispone de tal información…como en los viejos tiempos. Kurzweil tiene razón: La gran revolución de la tecnología de la información es la desaparición del coste de multiplicar y transmitir información pero esa gratuidad virtual ha traído consigo un problema: Todo el mundo tiene un altavoz sobre cualquier tema y no sólo los que tengan algo que decir sobre él. Encontrar una señal válida entre una masa creciente de ruido es cada vez más difícil y el aumento de número de páginas o de velocidades de acceso no sólo no arreglan este problema sino que contribuyen a agravarlo. Internet crece de una forma espectacular pero la calidad de la información que contiene no lo hace. Más bien lo contrario. Something is wrong with automation. If we can find diagnostics performed more than 20 years ago and the conclusions are still current…something is wrong. Of course, we could extend the examples to books like Information Processing and Human-Machine Interaction: An Approach to Cognitive Engineering published by Rasmussen in 1986, Safeware written by Leveson in 1995, Normal Accidents by Perrow in 1999, The Human Interface by Raskin in 2000 and many others. None of these resources is new but all of them can be read by someone with interest in what is happening NOW. Perhaps there is a problem in the basics that is not still properly addressed. Certainly, once a decision is made, going back is extremely expensive and manufacturers will try to defend their solutions. An example that I have used more than once is the fact that modern planes have processors so old that the manufacturer does not make them anymore. Since the lifetime of a plane is longer than the lifetime of some key parts, they have to stock those parts since they cannot ask the manufacturers to send them. The obvious solution should be renewal but this should be so expensive that they prefer having brand-new planes with old-fashioned parts to avoid new certification processes. Nothing to oppose to this practice. It’s only a sample of a more general practice: Keeping attached to a design and defend it against any doubt –even if the doubt is reasonable- about its adequacy. However, this rationale can be applied to products already in the market. What about the new ones? Why the same problems appear once and again instead of being finally solved? The first psychologist that won a Nobel Prize was Daniel Kahnemann. He was one of the founders of the Behavioral Economics concept showing how we use heuristics that usually works but we can be misguided in some situations by heuristics. To show that, he and many followers designed interesting experiments that make clear that we all share some “software-bugs” that can drive us to commit a mistake. In other words, heuristics should be understood as a quick-and-dirty approach, valid for many situations but useless if not harming in others. Many engineers and designers would be willing to buy this approach and, of course, their products should be designed in a way that would enforce a formal rational model. The most qualified opposition to this model comes from Gigerenzer. He explains that heuristics is not a quick-and-dirty approach but the only possible if we have constraints of time or processing possibilities. Furthermore, for Gigerenzer people extracts intelligence from context while the experiments of Kahnemann and others are made in strange situations and designed to misguide the subject of the experiment. The experiment tries to show the conjunction fallacy, that is, how many people should choose the second alternative while the first one is not only wider but comprises the second one. The analysis of Gigerenzer is different: Suppose that all the information about Linda is the first sentence Linda is 31 years old. Furthermore, suppose you don’t give information and simply makes the questions…we could expect that the conjunction fallacy should not appear. It appears because the experimenter provides information and, since the subject is given information, he supposes that this is RELEVANT…otherwise, why is the subject fed with this information? In real life, relevance is a clue. If someone tells us something, we understand that it has a meaning and that this information is not included to deceive us. That’s why Gigerenzer criticizes the Behavioral Economics approach, which can be shared by many designers. For Gigerenzer, we decide about how good a model is comparing it with an ideal model –the rational one- but if, instead, we decide about which is the best model looking at the results, we could find some surprises. That’s what he did at Simple Heuristics that Make Us Smart, that is, comparing complex decision models with others that, in theory, should get a worse performance and finding that, in many cases, the “bad” model could get better results than the sophisticated one. Let’s go back to automation design. Perhaps we are making the wrong questions at the beginning. Instead of “What information would you like to have?” getting a Santa Claus letter as an answer, we should ask what are the cues that you use to know that this specific event is happening? We have a nice example from QF32 case. Pilots started to distrust the system when they got information that was clearly false. It was a single fact but enough to distrust. What if, instead of deciding this way jumping to the conclusion from a single fact, they should have been “rational” trying to assign probabilities in different scenarios? Probably, the plane should not have fuel enough to allow this approach. Rasmussen suggested one approach –a good one- where the operator should be able to run cognitively the program that the system was performing. The approach is good but something is still missing: How long should it take for the operator to replicate the functional model of the system? In real life situations, especially if they have to deal with uncertainty –not calculated risk- people use very few indicators easy and fast to obtain. Many of us remember the BMI-092 case. Pilots were using an indicator to know which engine had the problem…unfortunately, they came from a former generation of B737 and they did not know that the one they were flying had air bleeding in both engines instead of only one. The key used to determine the wrong engine should have been correct in an older plane. Knowing the cues used by pilots, planes could be designed in a human-centered approach instead of creating an environment that does not fit with the ways used by people to perform real tasks in real environments. When new flight-deck designs appeared, manufacturers and regulators were careful enough to keep the basic-T, even though it could appear in electronic format but that was the way that pilots used to get the basic information. Unfortunately, this has disappeared in many other things and things like position of power levers with autopilot, position of flightsticks/horns and if they have to transmit pressure or not or if the position should be common to both pilots or not…had a very different treatment from a human-centered approach. Instead, the screen-mania seems to be everywhere. A good design starts with a good question and, perhaps, questions are not yet good enough and that’s why analyses and complains 20 and 30 years old still keep current. Hace unos días tropecé con el programa “Cuarto Milenio” y me quedé a verlo cuando empezaron a hablar del armamento secreto del III Reich durante la fase final de la II Guerra Mundial. Tenían en el estudio a un supuesto experto que contó dos cosas, sólo dos, sobre las maravillas tecnológicas de la Alemania nazi y las dos contenían errores garrafales. A pesar de ello, vinieron después los tonos de asombro, los “¿qué habría pasado si la guerra dura más?”, etc. Primer error: Los científicos alemanes de la época consiguieron un avión invisible al radar y, por ello, podía considerarse un precedente de los aviones stealth actuales. Pues bien, el avión citado –Go229– era muy meritorio por diseño -tipo ala delta- por prestaciones y por ligereza pero su invisibilidad al radar no la conseguía mediante sofisticados diseños en sus ángulos ni mediante el uso de materiales estudiados para que las ondas del radar no rebotasen sobre ellos. 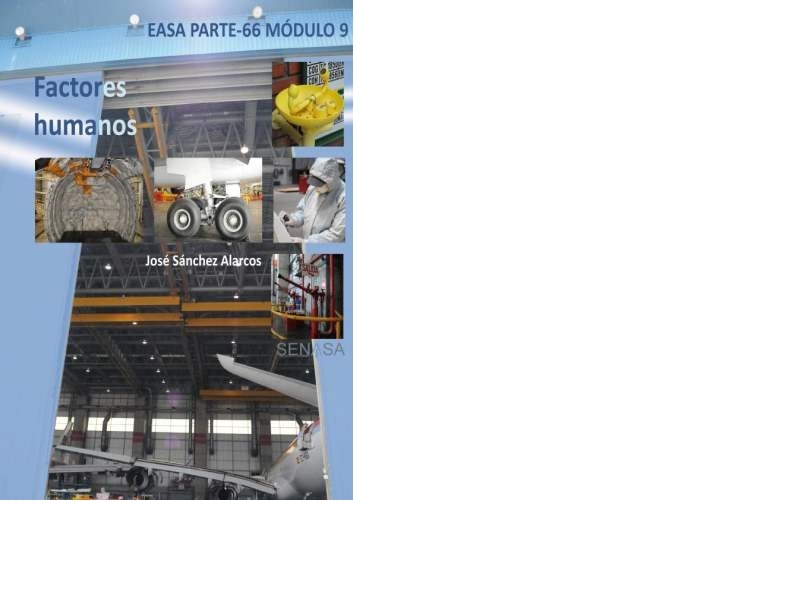 Simplemente, el avión estaba hecho básicamente de madera. Sin duda, una obra de arte tecnológica pero saltar gratuitamente setenta años en el tiempo y hablar de tecnologías que permitieran la invisibilidad al radar parecía sacar un poco las cosas de quicio ¿no? Segundo error: Instalación alemana en la provincia de Lugo. Dos antenas contiguas -y atención al detalle de “contiguas”- de 150 metros de altura, supuestamente utilizadas por los submarinos alemanes para determinar su posición por triangulación. Veamos: La triangulación es una técnica muy antigua y se utilizaba ya en la II Guerra Mundial para descubrir donde se encontraban las emisoras clandestinas. Un aparato, llamado radiogoniómetro, tenía la capacidad de determinar la dirección desde la que venía una emisión pero no la distancia. Si disponemos de un segundo aparato en una posición distinta, el punto donde se cruzan las líneas es el lugar en que se encuentra la emisora. La utilización de dos antenas para que un submarino, mediante triangulación, pudiera determinar su posición implica que dichas antenas se encuentran distantes, no contiguas, de forma que el submarino pueda dibujar dos líneas con la dirección de emisión de cada una de ellas y, así, saber que en el cruce de ellas se encuentra el submarino. Si las dos antenas están juntas, no hay triangulación que valga. Segundo problema: La Tierra es redonda y esto implica que la distancia que alcanza una emisora situada en tierra es escasa. En cierto modo, el problema se resuelve si quien tiene que detectar la señal es un avión y, especialmente, si está a diez kilómetros del suelo y puede, con ello, compensar el efecto de la redondez terrestre y conseguir un mayor alcance pero ¿un submarino? Además de necesitar que las antenas estuvieran distantes entre sí, el submarino está especialmente afectado por la forma de la Tierra y el alcance sería tan escaso que el submarino tendría que estar prácticamente en la costa para detectar las señales. Lo dicho: La ignorancia es atrevida y, cuando se acompaña de la autosuficiencia exhibida por algunos programas de televisión, es además cargante.